freshb33ts: SAVE THE WORLD! + moar!!! No, your eyes are not mistaken! 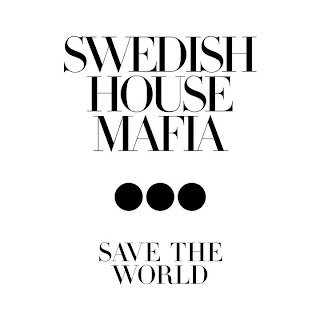 Save The World leaked two days early!!! I am sure this is the real deal/final version in 320 gold. Harvest away. The Swedish Mafia dropped this track on the world at their Miami Masquerade show, getting more then just a good response; people were going absolutely crazy like a crowded apartment of crack heads fighting over the last rock. Don't get confused because this ain't no Mafia production! It's YA BOI E-PRYDZ and he is bringing techno back into the lime light! The track starts off a little eerie and slow....and then the bass line hits.....game over. You know that feeling when you hear a song that you just have to have? Well, long story short: Yesterday, while sitting in my friends car, stuffing a gyro into my face (Mediterranean food is the BOMB DOT COM), this song popped up on the radio. I went home as fast as I could and frantically went track hunting. GREAT SUHSESS! Ya'll welcome. A lot of people keep telling me the harvest button doesn't work....WELL, pull your head of the ground and scroll the right side of the page for download instructions. If you're still confused, go to your utensil drawer and try swallowing a knife. OH another thing, I was testing out the music player on this page through my laptop speakers and almost cried. PLEASE listen to these tracks through some quality speakers or headphones. Appreciation-levels will overload. I listen to these tracks though very high end studio monitors, and believe me, when you find the high quality tracks - it's greatly appreciated!